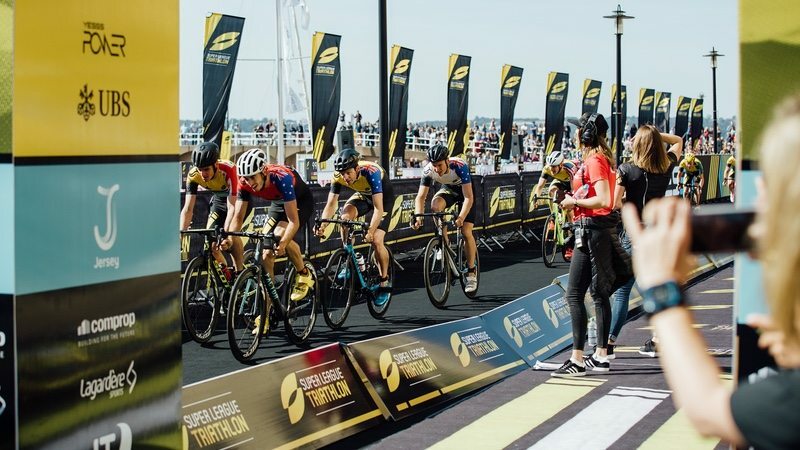 Super League Triathlon (SLT) has announced Royal Bank of Canada (RBC) as the new title sponsor for the series’ Championship event in Jersey this season. Taking place on 28-30 September 2018, the newly titled RBC Super League Jersey event will see some of the biggest names in triathlon go head-to-head for victory in the season-long quest to be crowned overall Super League Triathlon Champion. To mark the start of the SLT season, RBC will host the RBC Race for the Kids event – an occasion that brings the local community together with RBC employees, their families and friends, to raise money for mental health charity Mind Jersey. This will be the second time that Super League Triathlon visits Jersey, after a pilot weekend on the island last year. SLT has committed to a five-year Jersey event plan in order to create a legacy on the island for the sport of triathlon, encouraging people of all ages to get involved, and hopefully creating superstars of the future. This commitment is part of a wider SLT ambition across the full Championship Series this year and seasons to come. Beyond the professional-level racing that will see the likes of the Brownlee brothers, Flora Duffy, Richard Murray and Katie Zaferes take on a series of challenging formats, RBC Super League Jersey will also host a variety of Age Group races and a ‘not-to-be-missed festival at the JT (formerly Jersey Telecom) fanzone’.